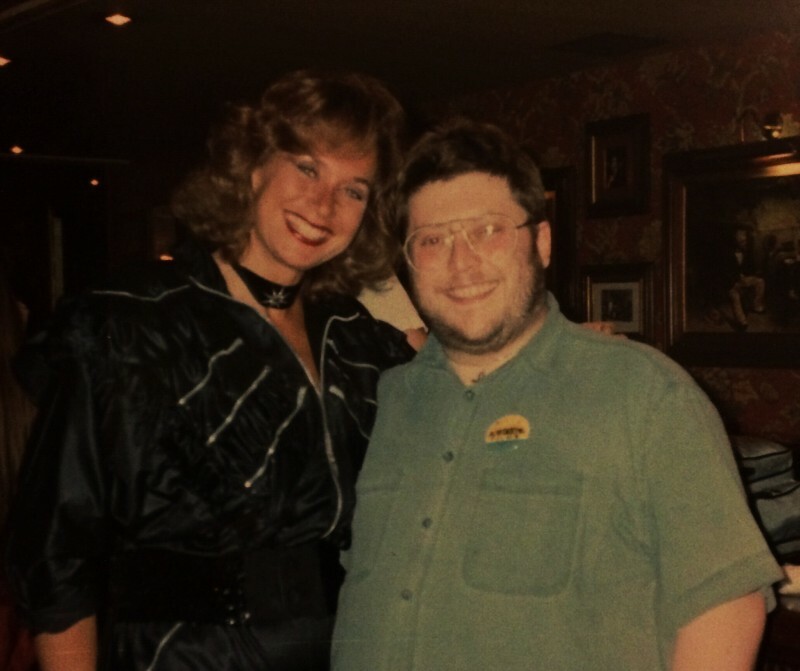 Here’s a nice photo of the actress Valerie Leon and myself at the 1996 Festival of Fantastic Films in Manchester. She’s reportedly busy filming a new horror comedy, Pitfire of Hell, co-starring fellow scream queen Ellie Church, directed and co-written by Bob East. Ms Leon is 5’11” tall, by the way, and I’m pretty sure she was wearing high heels. 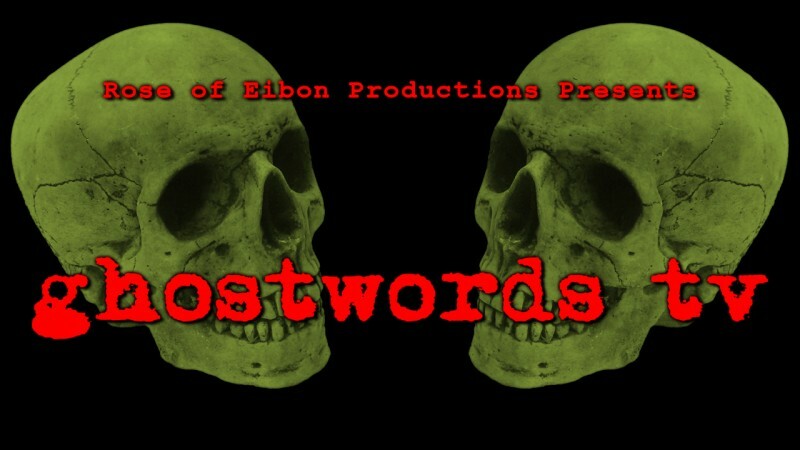 For those who recall our pre-Xmas announcement, Chrissie’s and my plans for Ghostwords TV continue apace. We’ve managed to pull together the equipment we need for the initial launch, dressed the ‘set’ (aka the upstairs bedroom Chrissie uses as an office, the same function it had when I first freelanced back in the early ’90s) and filmed a couple of brief tests. We’re probably a couple of weeks away from releasing our first episode, but would strongly suggest anyone who wants to catch the show from the get-go should immediately subscribe to our YouTube channel. I’ve been looking through a few of my photo albums and it struck me it might be nice to dust a few of the pictures off for a wider audience. The two below were taken at Manchester’s Festival of Fantastic Films in 1995, when the guests also included directors Roger Corman (whose Gas-s-s-s and The Trip are about to be released on R2 Blu-ray by Signal One), Robin Hardy (The Wicker Man) and Norman J Warren (an old friend, whose canon includes Satan’s Slave and Inseminoid). 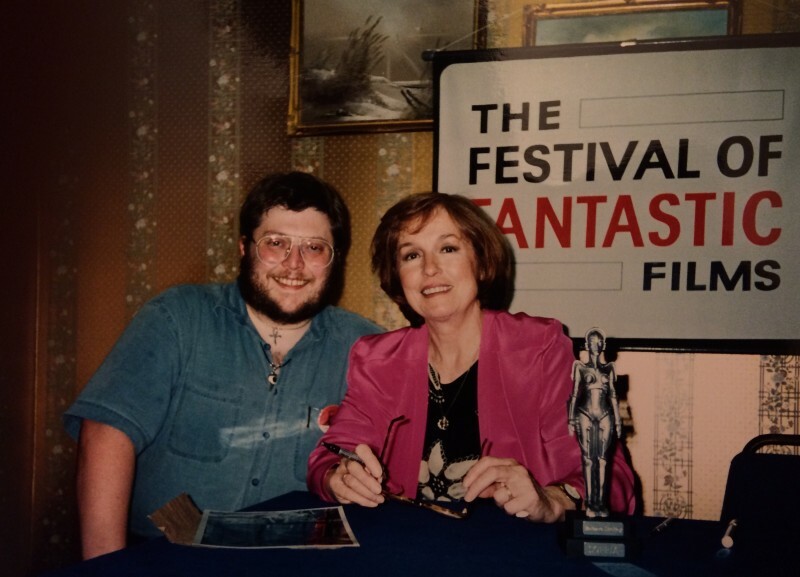 Anyway, here’s a rather nice snap of myself with Hammer scream queen Barbara Shelley, who rather curiously — albeit charmingly — thought we already knew each other. Perhaps she mistook me for one of the Martian bugs she’d encountered in Quatermass and the Pit. 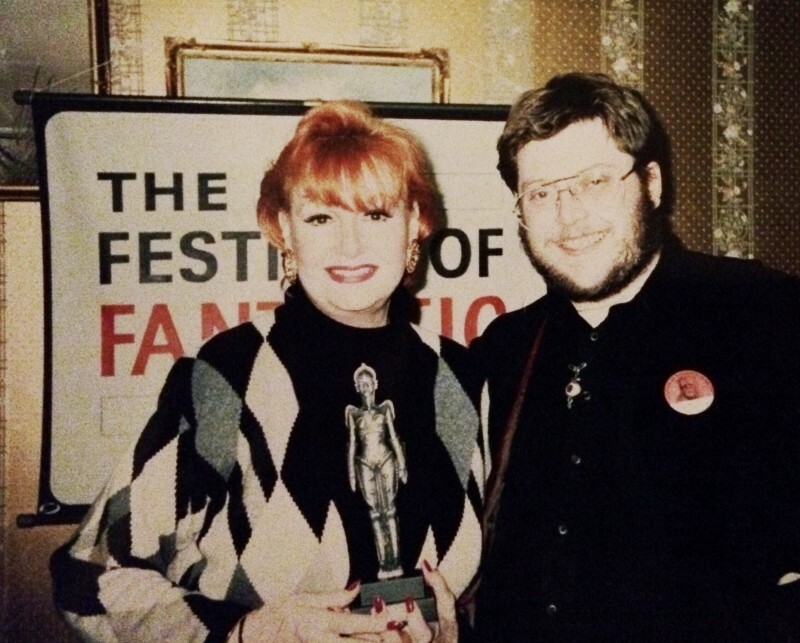 Oddly enough, Ms Shelley wasn’t the only actress present who’d had to fight off an invasion from the Red Planet, since we were joined by Ann Robinson, who apparently quit showbiz after The War of the Worlds in order to marry a matador (although she had a brief cameo alongside original co-star Gene Barry in the Spielberg remake). 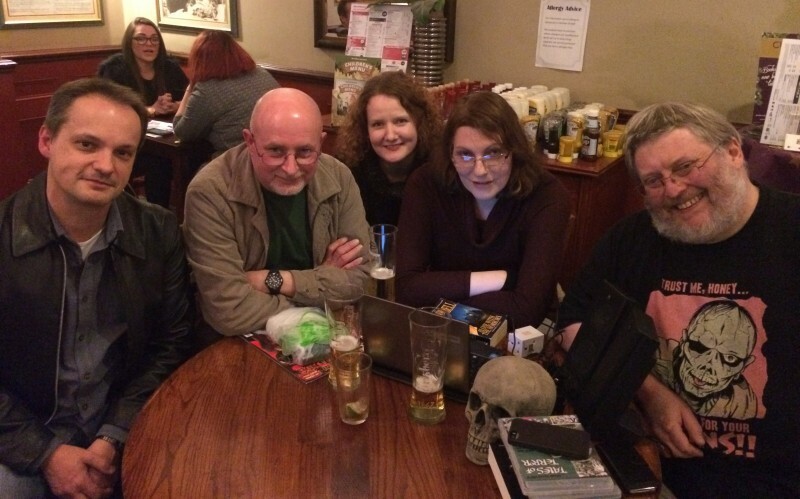 As previously mentioned, the Birmingham Horror Group held its inaugural meeting on 5 December in Acocks Green, when the turn-up comprised James Brogden, Ray Holloway, Louise Palfreyman, Chrissie Harper and yours truly — plus, addressing us via Skype from his home in Wallasey, group president Ramsey Campbell. A follow-up gathering took place on 2 January, but a virtual appearance by Dez Skinn unfortunately fell foul of wifi problems. The next is scheduled for 6 February; details will be posted here.